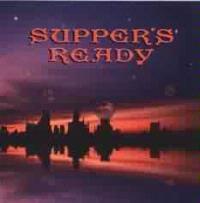 A tribute album devoted to the music of Genesis, Supper`s Ready is a strong work. The renditions here stay more true to the original performances than on some similar albums, but this does not take away from the relevance of the CD. This review is available in book format (hardcover and paperback) in Music Street Journal: The Early Years Volume 2 at lulu.com/strangesound. This is a fairly faithful, but still updated rendition of this Genesis classic. A very emotionally charged and quite competent performance, the number comes off as dramatic and lush. The vocals here sound a bit like Trevor Rabin. This is a very faithful rendition of a very beautiful song. Haslam`s voice lends an intriguing texture to the piece, which really winds up feeling like a Renaissance number. This is a very refreshing approach to this classic piece. This hard rocking and effective track is quite well done. Gilbert is joined on this cut by Mike Keneally, Nick D` Virgilio and Toby Holmes. Based primarily on piano and vocals, this is a very beautiful track. This is a very intriguing (and at times slightly spooky) rendition of a textural, percussion based number. Other than a different vocal texture, this cut is quite true to the original performance. The vocal work is very evocative on this performance, which is a greatly elegant and emotional rendition of a very pretty and emotional piece. Nick D` Virgilio, among others, joins Bardens on this number. Shadow Gallery puts in a very faithful performance of this beautiful piece. This cut really benefits from the harder edged, metallic guitar sound in segments of the performance. Beyond this change, the rendition is quite true to the original. Although it retains the Genesis textures, this piece has a very stripped down feel to it. This is an effective performance. This is quite a competent rendition, although the vocal work is a bit odd at times. There is also a crunchy guitar solo that is considerably effective. While maintaining much of the original texture, this rendition, which is quite strong, has its own flavor. 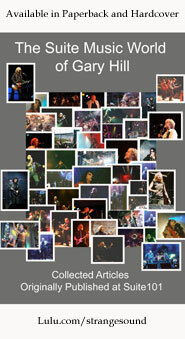 World Trade is new Yesman Billy Sherwood`s old band.